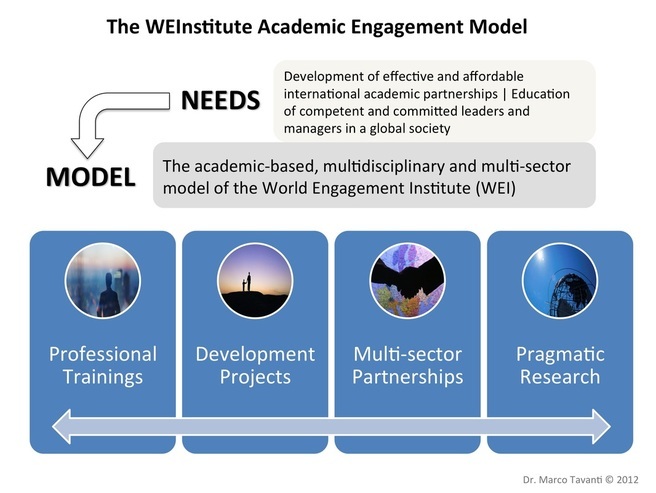 The World Engagement Institute (WEInstitute)'s post-conflict capacity development model centers on empowering and connecting academic institutions. We believe that colleges and universities play a vital role in a country's re-construction process as well as on the development of sustainable communities. Our academically centered method offers higher education institutions alternative models of international public and community engagement. WEInstitute employes academic and multi-sector partnerships in the model of USAID Higher Education for Development, the UN Academic Impact and the UNGC Principles of Responsible Management Education. We promote multi-tier and multidisciplinary partnerships in education, training and international development projects providing career opportunities to graduates. 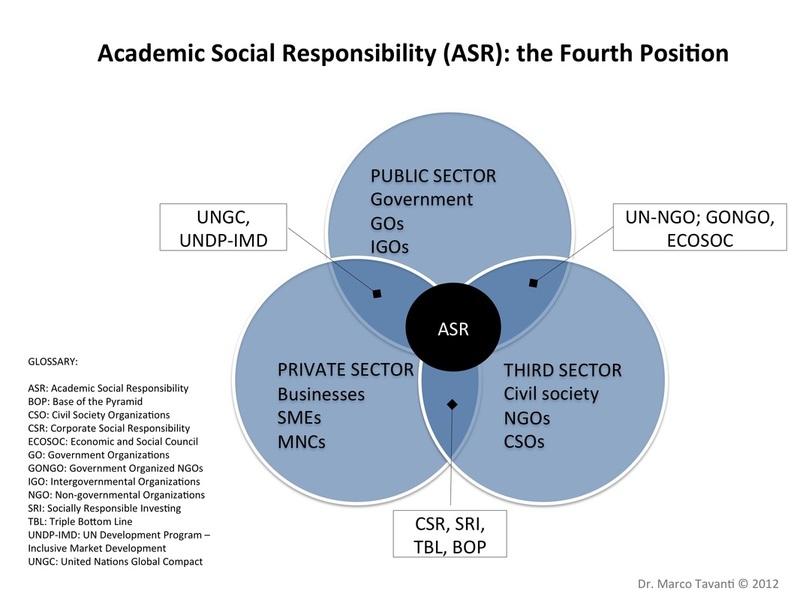 As universities are key institutions in the development of globally engaged leaders and socially responsible managers, our methods promote academic civic engagement and academic social responsibility (ASR) through multidisciplinary, collaborative, sustainable and systemic models. 4. Collaborate in writing pragmatic research findings based on practical analyses of successful strategies and international engagement failures. WEInstitue is founded on the principle that academic institutions have a social and international responsibility. 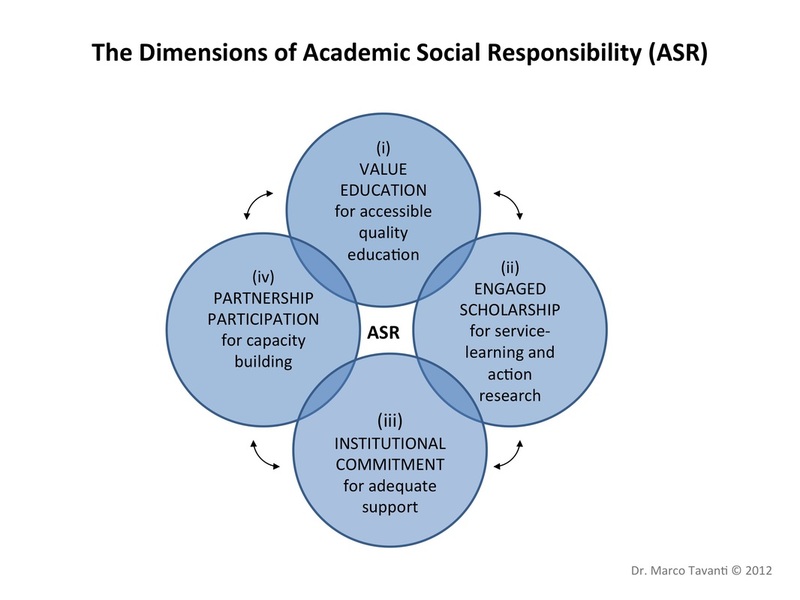 Dr, Marco Tavanti defines academic social responsibility (ASR) as "a concept that recognizes higher education’s institutional capacity, as well as its responsibility, to educate for the public good and to engage for the global common good." While most international private or nongovernmental contracting agencies focus primarily on project outputs, the WEInstitute offers a model for sustainable impact through system's development and mutual collaborations. It suggests how ‘academic partnerships’ can become catalysts to achieve long-term locally-driven processes for leadership, community, organizations and institutional capacity building. Most academic institutions focus their international presence at four levels: international partnership and collaborations with other academic institutions for the exchanges of students, faculty and resources; international teaching through study abroad and international service learning; international research through conferences and collaborative-participatory research projects; international service through international internships, consultancies and the like. Most of these projects are aimed at providing international experiences to the students or furthering the research agenda of the professors. Very few universities have focused their resources and plans toward more strategic partnerships for international development and university wide projects for poverty alleviation and capacity building to support and sustain the local community. The academic centered method is systemic and sustainable in nature. While most NGOs reflect the so-called 'fondation-syndrome' or forcing them to go from one founding project to another, the WEInstitute ASR model aims to establish long term sustainable partnerships across sectors. Through key academic partnerships, the WEInstitute promotes self-administered and regionally-supported networks for capacity building. Through public and private grants, the WEInstitute is sponsoring large international collaborative projects benefiting academic institutions and connected local and regional NGOs, government organizations, and other key stakeholders. 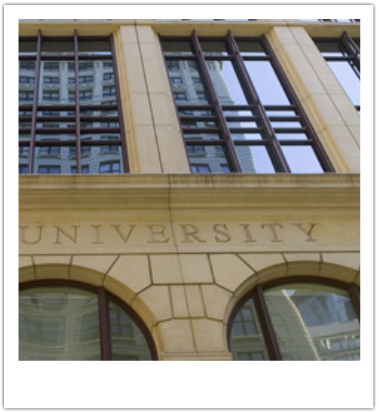 The institutional configuration of the WEInstitute as a multidisciplinary, academically based ‘virtual’ university presents opportunities to traditional academic institutions willing to engage in cross-sector partnerships for institutional capacity building. Although very few large academic institutions have the financial capacity and political power to do this on their own, the majority of universities cannot engage in international institutional capacity building alone. They need to create effective partnerships with a diverse spectrum of private, public and non-profit academic and non-academic actors. The WEInstitute sustainable capacity model provides interconnected partnerships through public and private grants, partnership projects centered on academic institutions. The WEInstitute promotes the connections and capacity of local academic institutions through academic networks and cross-sectors national, regional and international partnerships. The international development projects provide a platform for action and the development of the systems necessary for self-sustained model of development, where external-international participation becomes the catalyst for transformation and self-empowerment. The WEInstitute sustainable capacity model, through expertise and resource mobilization in local and regional partners, becomes the ‘terrarium’ for the creation and development of ‘ecosystems’. 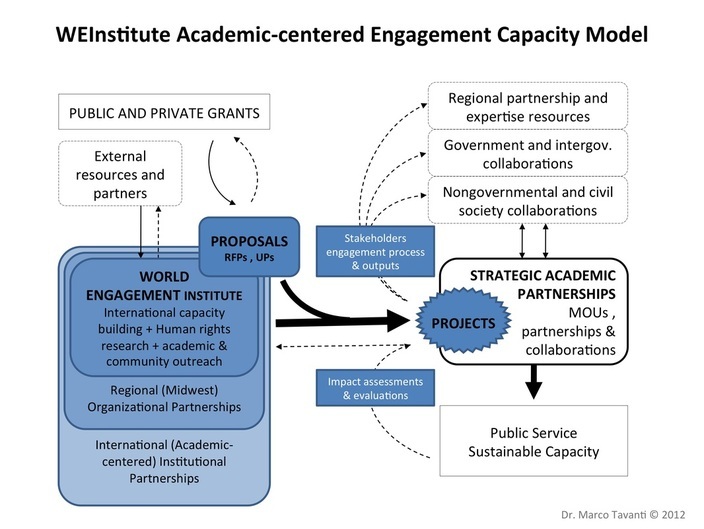 The WEInstitute model for international academic partnerships for capacity building offers new insights for engaging academia in good and effective governance capacity building for sustainable development and poverty alleviation. The partnership model provides resources for building capacity and bridging collaborations across academic, governmental, and non-governmental entities. The conferences, trainings, programs and initiatives emerging from the partnerships become the vehicle that captures and disseminates knowledge, skills, and lessons learned whereby scholarly articles, official documents, and professional briefings are shared. 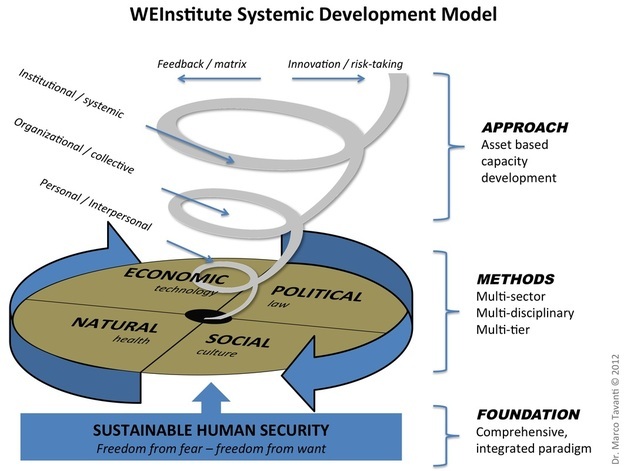 The WEInstitute sustainable and academic centered capacity development model is systemic. Systemic change and system thinking, like capacity building and sustainable development, can be elusive concepts unless accompanied by clear paradigms, comprehensive methods and innovative approaches. Systemic development also require planning, implementation, monitoring and evaluations along specific indicators and measures assessing capacity development both as a process and as an outcome. The key to systemic change is capacity development at the personal, organizational and institutional level. The WEInstitute integrated model integrates personal capacity development (through professional leadership development services), with organizational capacity development (through partnership and project based collaborations) and institutional capacity development (through policy design, rule of law development and statecraft). The institutional and legal frameworks are essential systemic elements to make legal and regulatory changes which enable organizations, institutions and agencies at all levels and in all sectors to increase their capacities.